In the Shadow of the Law is the story of Morgan Siler, a powerful Washington, D.C., law firm that has transformed itself from a traditional practice serving those most in need into a shrewd giant serving the interests of the wealthy. Through the intertwined stories of a pro bono murder case and a class action lawsuit brought against a large chemical company, we meet the fascinating, engaging, and conflicted characters that make up this world: Mark Clayton, the rookie; Walker Eliot, the prodigy; Katja Phillips, the idealist; and Harold Fineman, the brilliant and burned-out partner, leader of the chemical company's defense team. With a thorny and breathtakingly paced narrative, In the Shadow of the Law marks the arrival of a writer who "stakes a firm claim to the literary territory of Scott Turow" (The Times-Picayune, New Orleans). 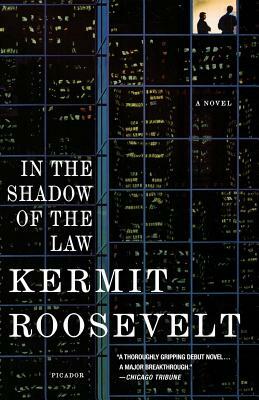 Kermit Roosevelt, author of In the Shadow of the Law, is an assistant professor of law at the University of Pennsylvania Law School. A former clerk to a U.S. Supreme Court justice, he is a graduate of Yale Law School and a member of the Human Rights Advisory Board of Harvard's Kennedy School of Government.